Home Security Ninja: How Secure Is your WordPress Site? Most of us don’t think about hack attacks until our sites have been hacked. 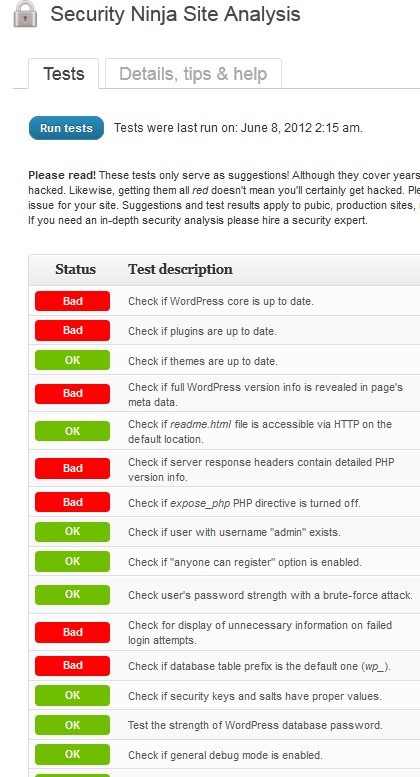 WordPress may be a secure platform. But it is not bulletproof. 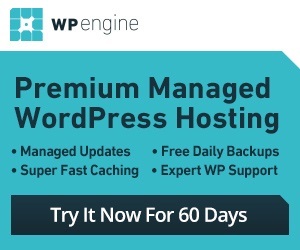 You still have to optimize and harden your WordPress install and server to make sure it does not get hacked easily. Security Ninja is one of many plugins you can use to figure out what you could be doing on your website to make it more secure. 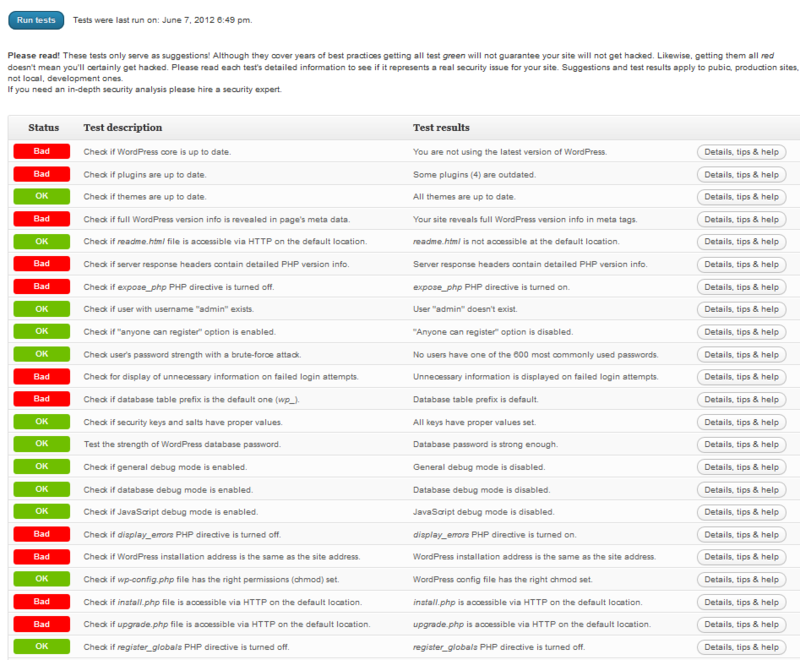 Security Ninja runs over 26 security tests on your websites. These are simple tests that could save you from having to deal with a hacked site. You can use this to keep your blog safe against zero day exploit and brute force attacks. Each step has extensive help and descriptions of tests so you will find out more about each of them. When it comes to protecting your website against hack attacks, you can never be too confident. Thanks to Security Ninja, you can make your site harder to crack for hackers. It takes only a couple of seconds to install and can be a life saver for beginners.